(FLORENCE, AL) Martin Inc. announced today the acquisition of Marshal Safety Inc. located in Evansville, IN. Marshal, a full-service safety, environmental equipment, and services company, was founded in 1898 and serves Indiana, Illinois, Kentucky, and Tennessee. Founded in 1934 and headquartered in Florence, AL, Martin Inc. is one of the nation’s leading providers of custom-tailored solutions for maintenance, repair, and operation supplies (MRO) to the industrial and construction markets. 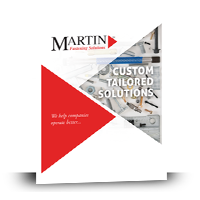 Martin offers a wide variety of products and services in Industrial, Integrated Supply, Fastening and Safety – all uniquely designed to help companies operate better. 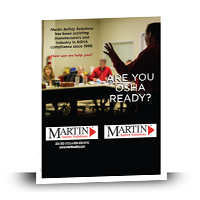 Martin is a member of Affiliated Distributors, the Industrial Supply Association, the National Fasteners Distributor Association, and the Global Sourcing Alliance. 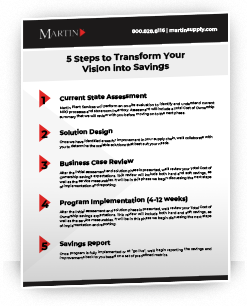 For more information, visit www.martinsupply.com.